What’s your line? Deep stack strat inside..
Is there a better feeling than stacking someone in a giant pot, immediately after sitting down for a cash game session? Obviously building a winning image, suddenly being deep with everyone else at the table, and confidently building a big stack are all benefits of shipping a nice pot early on. 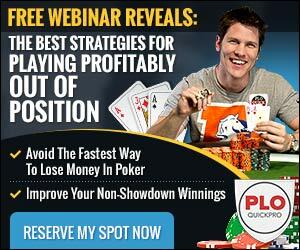 Is it better to be satisfied with booking a nice session and put your chips on lockdown? Or should you go for glory.. Put the pedal to the floor, and apply maximum pressure now that you have a mountain of chips to work with? In this video, I talk about how to approach playing 200bb stacks using some recent hands I observed from today’s top grinders at the PLO500 Zoom tables. The feedback on the last video using this format was great! But as always, I love hearing your input on the hands and suggestions for further videos. 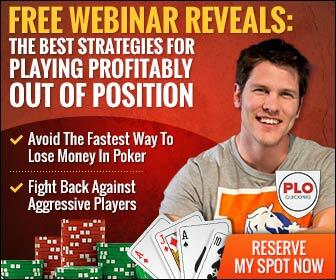 Reply directly to this post with any PLO questions you have – I read every one! 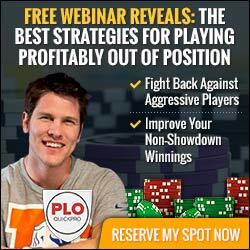 My goal is to connect with as many passionate PLO players as possible. Is that you?